Discover diamonds in the latest slot by Amatic - Hot Diamonds.This slot gives players a chance to live a luxurious life where diamonds and rubies are plenty. You have to take fate into your own life when spinning the reels of this slot. Hot Diamond is a 5-reel, 3-row and 10 payline slot with lots of bonus features to get you hooked.So get ready to uncover the treasures hidden in this slot as you play this slot for big wins. If you are one of those game players who love shiny and precious stones, then you are in luck. Hot Diamonds has plenty of bling to go around. Precious gems populate the reels on this slot. 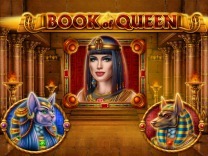 There is no specific theme or story to this slot just lots of diamonds and gems. When playing this slot, you can collect all the diamonds or gems you can to fill in the reels for huge wins.There is a soundtrack which will keep on nudging you to continue playing this slot. Whenever you land a win, you will be notified through the soundtrack. Other than that, the symbols on the slot are presented perfectly. The graphics are also superb allowing players to play on multiple devices. 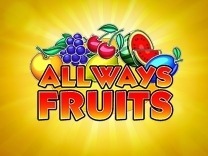 You do not require to download any software to play this slot as it can be accessed through the web browser.This is a low to medium variance slot which means that you will receive regular pays between spins. If you are searching for a slot which can be played by all players, then this is the slot to pick. Amatic has ensured that players can have the best time playing their games. This slot is such a slot. whenever you play this slot, you will interact with different characters such as gold bars, red rubies, diamond rings, topaz, emeralds, sapphires and Amethysts. These are the high and low paying symbols. The highest payout is 2500 coins for matching 5 of the red rubies, while the lowest payout is 5 coins for matching 3 of the low paying symbols.Before playing Hot Diamonds, you have to understand the gameplay. You will be required to set a wager and this can be done through the buttons located at the bottom of the slot. Players can adjust the paylines and coins per bet line. Hot Diamonds allows players to set a minimum and maximum wager of between 1 and 500 coins. For those players who would like to spin the reels without manually clicking the start button, there is an auto start feature to simplify matters. In Hot Diamonds, you will find 10 paylines which will give you multiple chances to make winning combinations with each spin. You have to match at least 3 symbols on an active payline to receive a payout.Watch out for the red ruby as this is the best symbol in Hot Diamonds. Matching 5 of these symbols will award you 125,000 coins while Filling the entire slot with this symbol will award you 1,250,000 coins. While you will find a wonderful base game, Amatic has ensured that players are able to enjoy their gameplay through bonus features. Whenever you load the game, you will discover the gamble feature which is tied to the base game. This feature allows players to double or quadruple their winnings. It is presented as a card guessing game where you are given a deck of cards and you will be required to choose between two card colours, black and red. Choosing the correct colour means doubling your winnings while incorrect winnings mean forfeiting your winnings. There is also an option to quadruple your winnings while in this feature. You will be required to choose the correct card suit.There is also a bonus symbol which triggers the bonus spins. 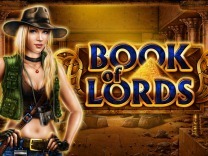 Landing 3 to 5 of the bonus symbol will award 10 bonus spins. The bonus symbol pays on any position on the reels. During the bonus spins line wins pay on all position as long as it is on an active payline. The bonus symbol also transforms into a wild which will substitute all other symbols on the reels.